In the Sage Running Podcast, Cannady stressed the importance to take time off to let the body recover. “You can’t be racing at 100 percent all year long,” he said. Many runners will ski, swim and bike in the off season. It’s also a good time to hit the weights to add power to their legs. And stretching routines are needed throughout the year. 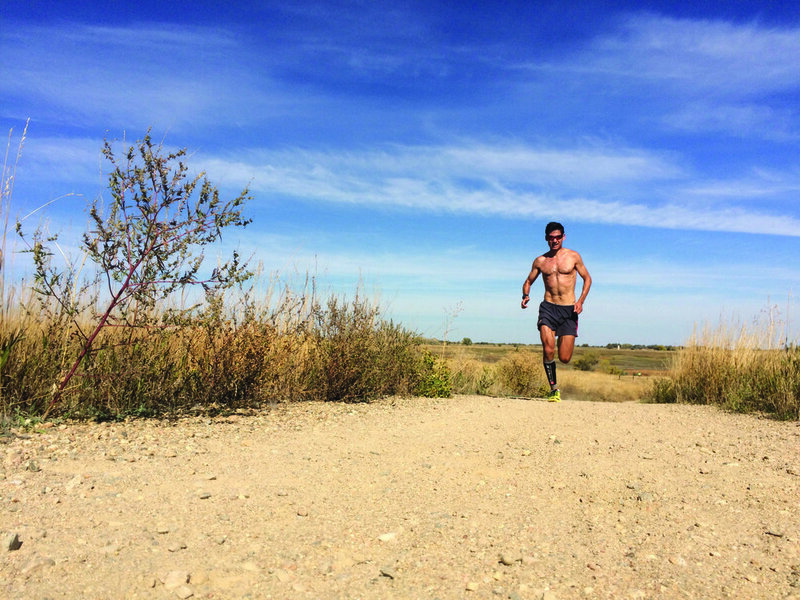 In his peak training seasons, Canaday says he tries to run between 100 to 120 miles per week. Be patient. The adaptations to training occur over weeks, months and even years of consistent training. Stay healthy. Health is No. 1, really, and this includes a healthy diet and getting enough sleep. It will influence your running. Some of the biggest races Canaday has planned for this year include the Comrades ultramarathon in South Africa and the Pikes Peak Marathon here in Colorado. And when it comes to beer, Canaday says he is a bit biased by his Avery Brewing sponsors, but he does have some favorite styles, including imperial IPAs (he says it’s hard to find an IPA that is too bitter for him), rum barrel-aged ales (like Avery’s Rumpkin), and “a really good” and authentic German style lager. “There is a special art in making great lagers and they are very refreshing,” says Canaday. Brewing companies like Avery Brewing sponsor running events and even some races. We’ll raise a glass to that. To follow Canaday’s running pursuits, visit sagecanaday.com. Contributor Kim Fuller is a magazine editor and writer based in Vail.